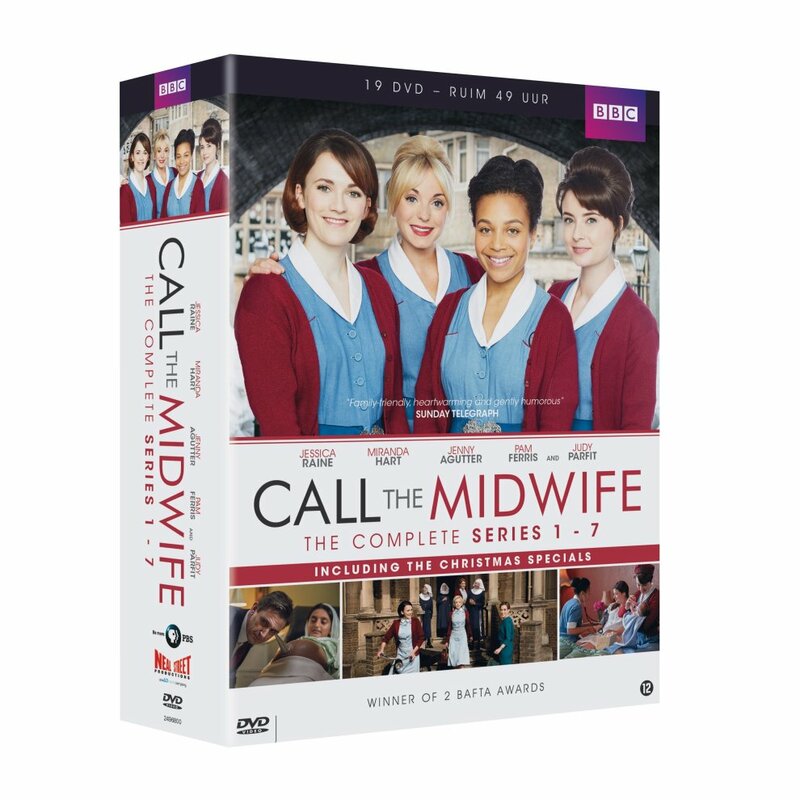 Call the Midwife - Complete Collection Series 1 + 2 + 3 + 4 + 5 + 6 + 7 + Christmas Specials (19 DVD Box Set). Import from The Netherlands with English soundtrack. Contains all episodes of the first six series of the award-winning BBC drama created by Heidi Thomas and inspired by the memoirs of Jennifer Worth. This complete collection also includes the Christmas Specials. Set in the late 1950s and early 1960s, Call the Midwife follows the nuns and midwives from Nonnatus House convent, who visit the expectant mothers of Poplar, providing the poorest women with the best possible care. From formula milk to television, times are changing in the East End, bringing both opportunity and heartache.